The other day my husband was scraping the bottom of the entertainment barrel. He found a show counting down the best music of the 90s. And I have to admit that in spite of the fact that I was hard at work on a critique for Miz Anita Mae, I kept getting sucked in too. Anyone else remember Informer or Jump Around or Rico Suave? Anyway, that silly show got me to thinking about the same phenomenon in books. So here is my top ten Literary One Hit Wonders. Not all of these authors only wrote one book, but they all only had one great success. If you had the choice would you rather write one book that was guaranteed to be a timeless classic or several moderately popular novels? (My hats off to those authors who have achieved both!) Oh, and do you know of any other literary one hit wonders? Oooo, Lisa, that's a tough question. I think I'm going to go with several moderately popular novels. Why? It my book was a timeless classic, then it would be required reading in some English class. And, let's face it, very very very few students get excited about required reading. I'd rather people choose to read my book(s) because they wanted to, not because they had to. Hmmm, it's been two years since I read To Kill A Mockingbird. This fall it's back on my TBR pile. Shouldn't Jane Eyre be on the list? Did Charlotte Bronte write anything else that had any degree of success? Okay, I just googled her. Anyone ever heard of her novel, Villette? OR read it? I have heard of Vilette, haven't read it. I did almost include her on the list, but I guess it was pretty popular at the time it was published. Gina, I read Villette in a college British Lit class. Tough question, Lisa! I just don't know... Upon reflection, I'd say that the books I cherish and re-read the most are not one hit wonders. Some of them are, but most aren't. So as long as my stories glorify God, entertain, and edify, I'm good. 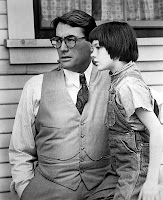 Kid #1 is reading To Kill a Mockingbird in school soon, and I plan to read along. It's been too long since I've read it. Umm, CJ, tell us about the book. Did you like it? Can you even remember anything about it? Susie, you'll have to let us know what Kid #1 thinks of Harper Lee's One hit wonder. Yeah, CJ is it worth looking up? Interesting list. I'm not writing a genre where classic status is even a possibility. Except for Agatha, I've never heard of a classic cozy. So I guess that's not what I'm aiming for. Interesting thing about Harper Lee. I remember reading that she might be a one-book wonder because she had difficulty structuring a novel, and TKAM only took form under the hands of several adept editors. Still, I agree the product was worth it. Interesting article and tough question! I heard the same thing about TKAM. Years of editing. Ooooh, I like that fact. ahem. I don't have a clue if there are any more one-hit-wonders these days. I suppose there are just way too many books and authors out there and the 'new classics' seem to be series. Charlotte Bronte probably gets credit for more than one book because everyone gets confused about which of those gothics she wrote. okay - 'everyone' is stretching it a bit. 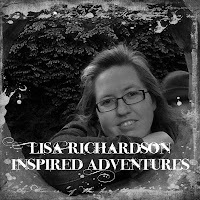 Good thought provoker, Lisa! I always wanted to write one enduring classic. I wasn't even sure I'd want to write a second book until I finished my first novel, but by then I was hooked. BARB! Of course there are classic mysteries! Dorothy L. Sayers, Margery Allingham, Ngaio Marsh and tons of others. Not to mention the inimitable Arthur Conan Doyle. Que sera sera, huh, DeAnna! Deb, I hope there are fewer one hit wonders today because authors have much easier access to education on craft issues. It would be nice to get more books from great authors! Dina, I guess the best plan is to write lots of classics! If you like classic romances, it's worth a read. I used to read classics just for fun. Got out of the habit in my later years. You sure ask the hard questions, Lisa. I think I'd go for writing more books rather than have one smashing success. Although ... wouldn't it be awesome to have that one smashing success after writing lots of books. Or! Have the smash hit first and then get huge advances on subsequent books. Although, I agree with Susie-D. If my books glorify God, then that will be satisfying all on its own. Great list, Lisa. I love so many of these. I think my favorite is The Little Prince. Interesting, CJ. Don't feel bad, I can't remember all the details on books I read last month, much less stuff I read in college. Suzie, I think you and Susie are right. To God be the glory and he can do what he wants with any of my books. Including keeping them tucked away in my computer. I think it would be really hard to have a hugely successful debut novel. Kathryn Stockett and The Help come to mind. Awesome book, and it was optioned and made into an Awesome movie. But she worked on that novel for 10 years and went through 60 rejections, endless revisions and more before it was picked up. It seems like the pressure to produce something equally awesome would be tremendous. But instead of years, people want it in just a couple of months. It's gotta be tough.